​Don't test this man. Same LeBron, new threads. LBJ and the ​new-look Lakers are in Vegas taking on the World Champion ​Golden State Warriors in a preseason game with regular season hype. Don't tell James this one won't go on his official record. The King came to play. They call that muscle. 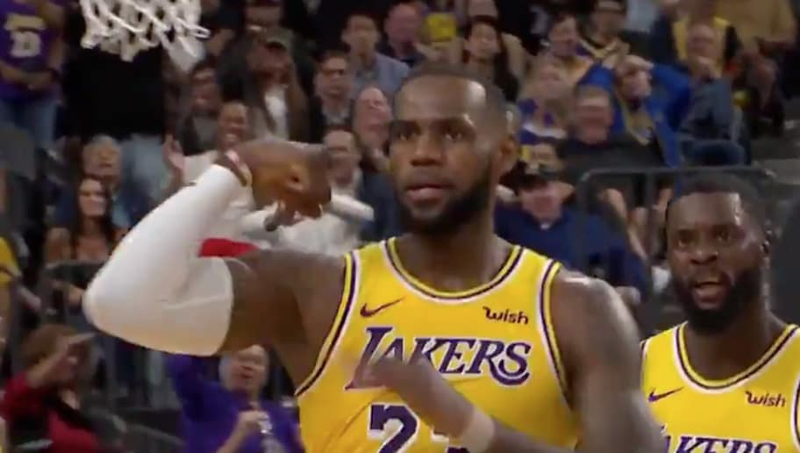 LeBron just flexed all over Andre Iguodala and the Dubs. The Lakers have a long way to go before they can match wits with Golden State, but surely they'll be competitive. LeBron will make sure of that.